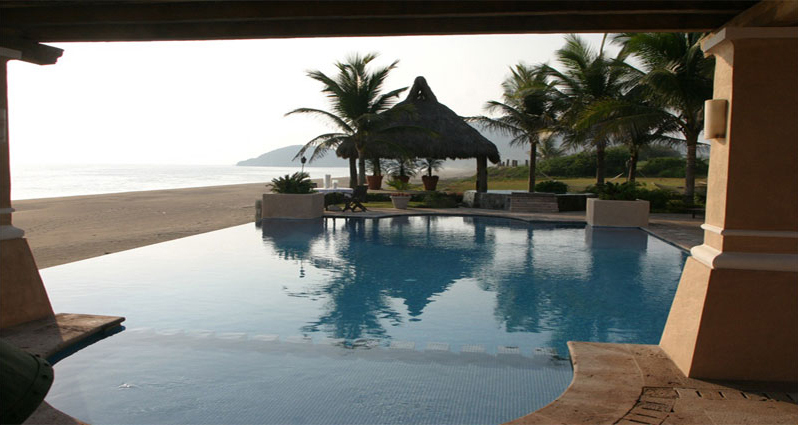 This vacation house for rental located on the Pacific coast of Mexico between Acapulco and Puerto Vallarta, Isla Navidad is a world class tourist destination, with the turquoise Pacific Ocean at its feet. 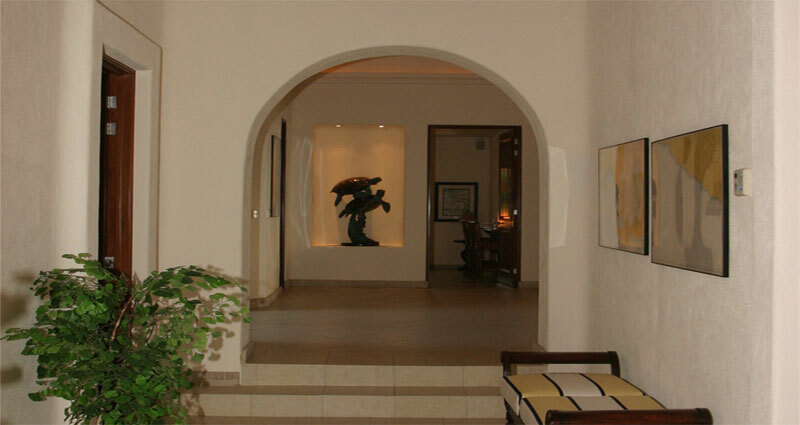 Located between the Laguna de Barra de Navidad and the Ocean, its unspoilt environment is complemented by a charming resort community which has incorporated spectacular villas, but non like this one. 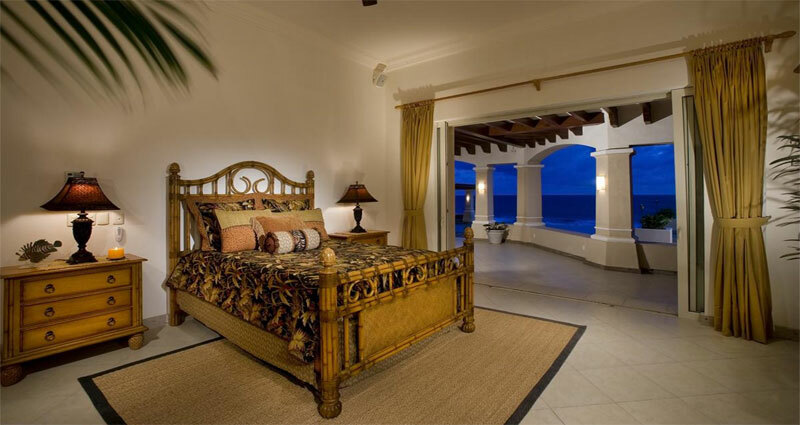 This magnificent Mexican-style vacation house is located on in Isla Navidad, peninsula of La Culebra in the state of Colima, south of Mexico's busiest-port Manzanillo. It is a big holyday destination and has excellent facilities including a stunning 27-hole golf course, two marinas, tennis court and spa. 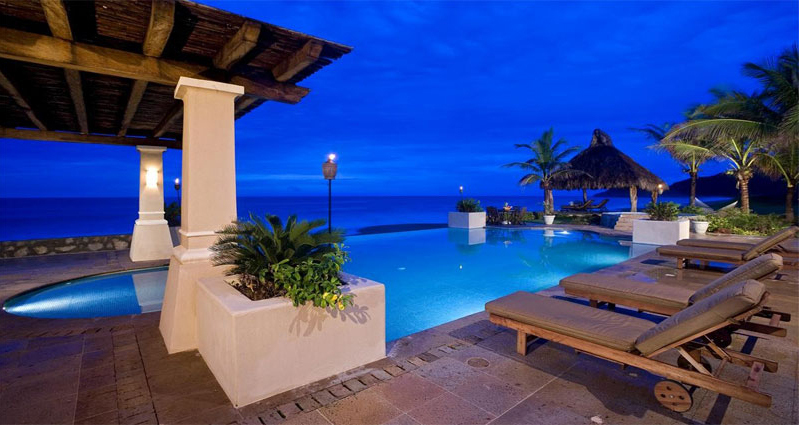 The surrounding area offers lush tropical vegetation and a magnificent lagoon, all framed by the ocean. 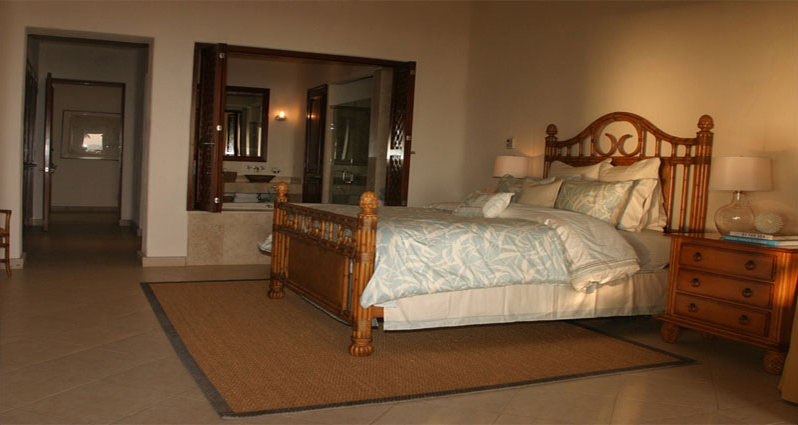 The house has four luxurious bedrooms. It can accommodate 6 people in style and comfort. 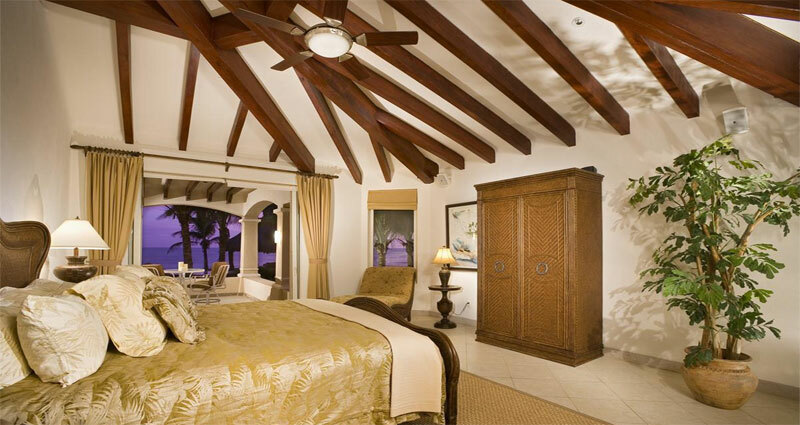 The bedroom design is partly inspired by Bellagio Suites & Resort in Las Vegas. 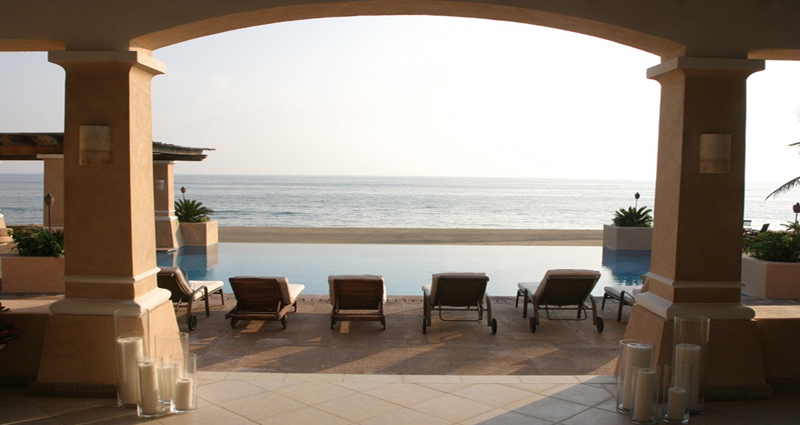 The beach and the infinity pool make the landscape idyllic. 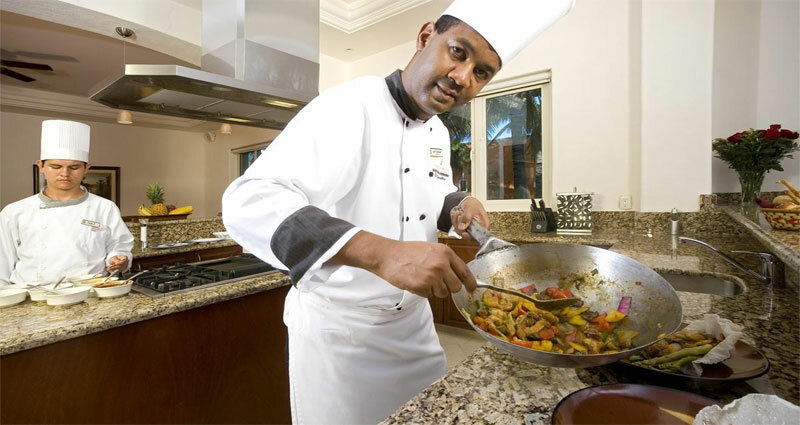 Includes: cook, maid, butler, access to golf club and use of luxury boat. 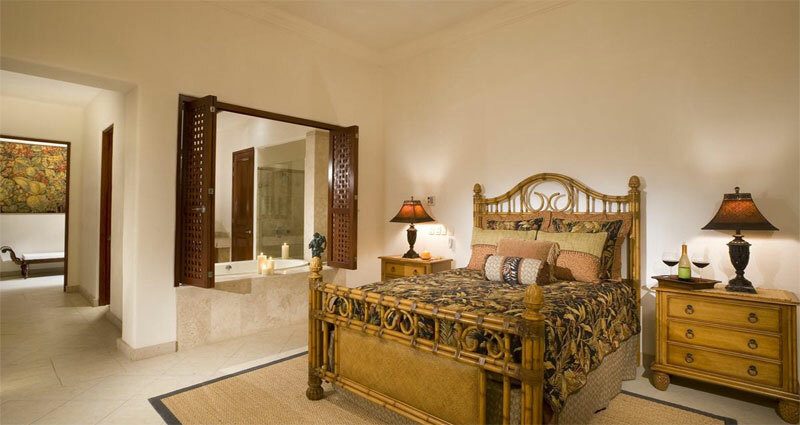 With oversized beds dressed in luxury linen, the bedrooms with its luxurious tropical style, have the perfect balance between all the elements which have being inspired on a Moroccan-style decor. 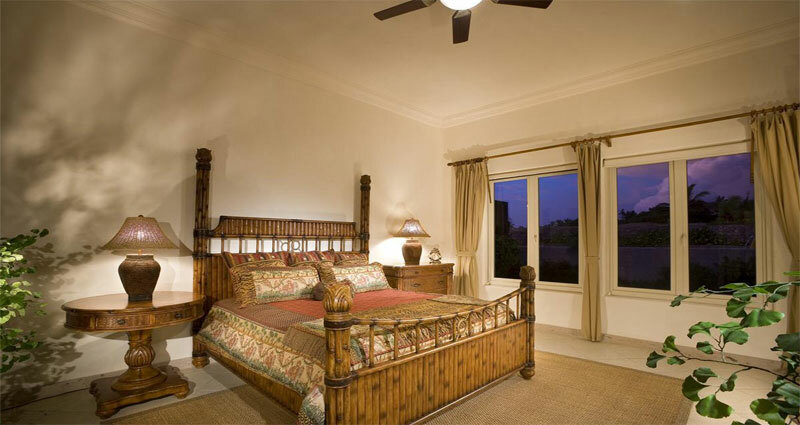 Central AC, ceiling fan, with panoramic views to the beach or garden. 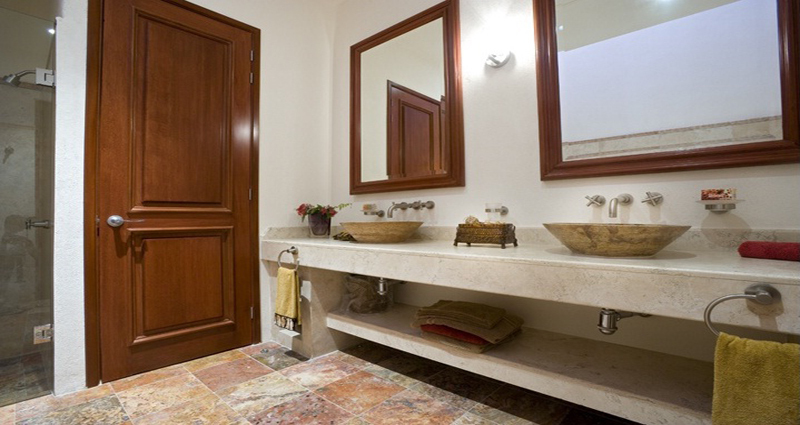 The bathrooms are decorated with marble and have handmade sinks. 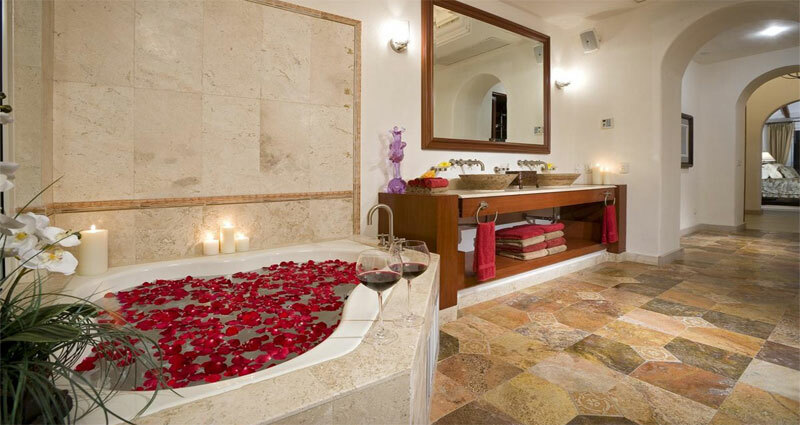 There is a spectacular Jacuzzi in the bathroom of the master bedroom. It also has cozy corners ideal for relaxation. The impressive dome ceiling provides a focal point in the living room. 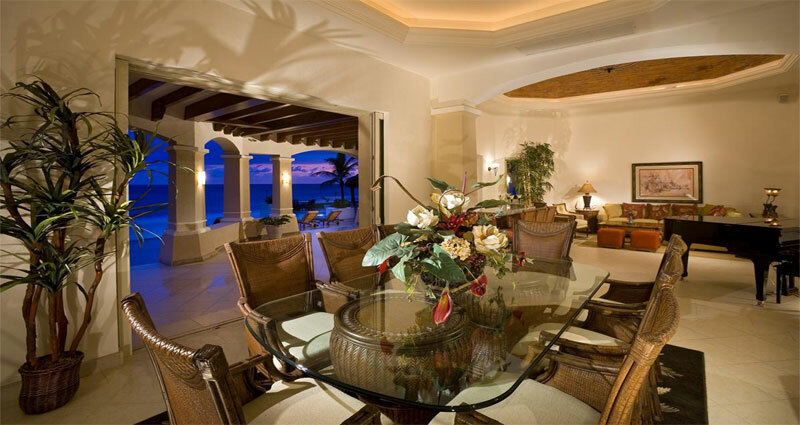 The interior lighting is stunning, creating both a warm and impressive atmosphere. 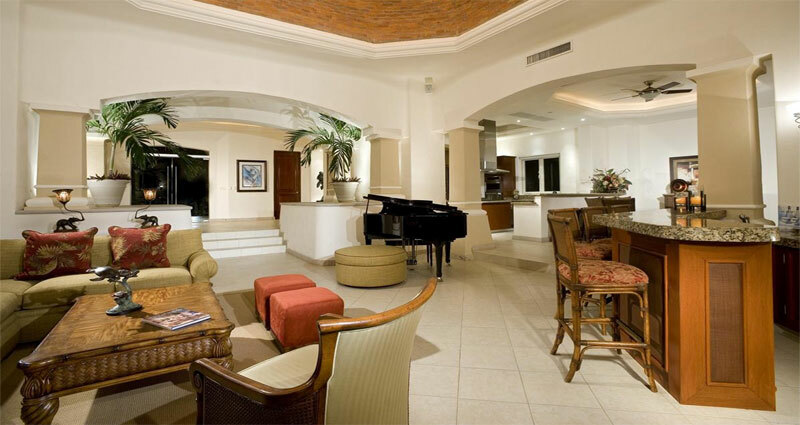 In the main living room you will be greeted with grand piano surrounded by lots of couches, which leads to an impressive dining room with seating for 8 and a marble bar with chairs. Between the lobby and the kitchen, you will find a breakfast stone table as the perfect centre piece to this beautiful room. 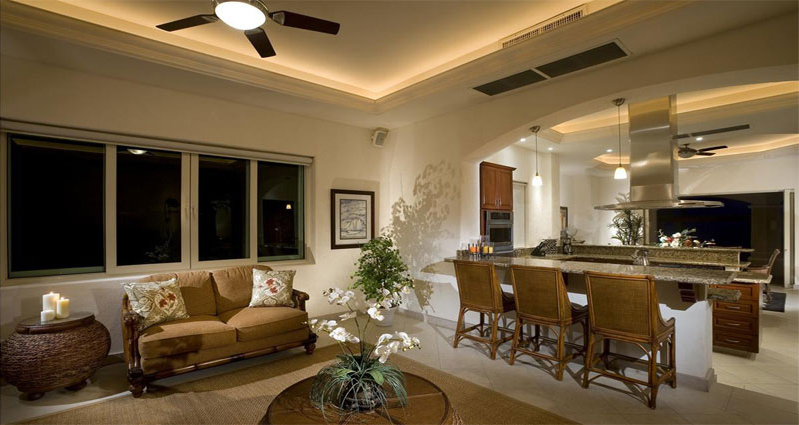 With central AC, ceiling fans and subtle lighting which complements the ambiance of the area. Security cameras have been installed for your peace of mind. 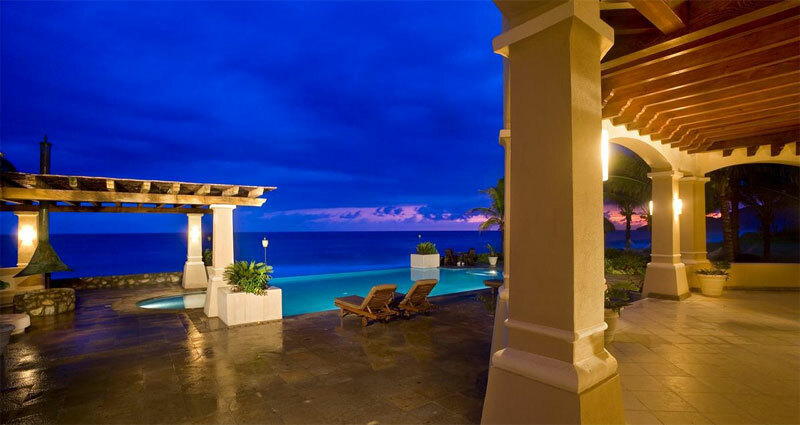 This vacation rental is surrounded by exotic gardens with a spectacular infinity pool and Jacuzzi looking out to the white sandy beach nearby. 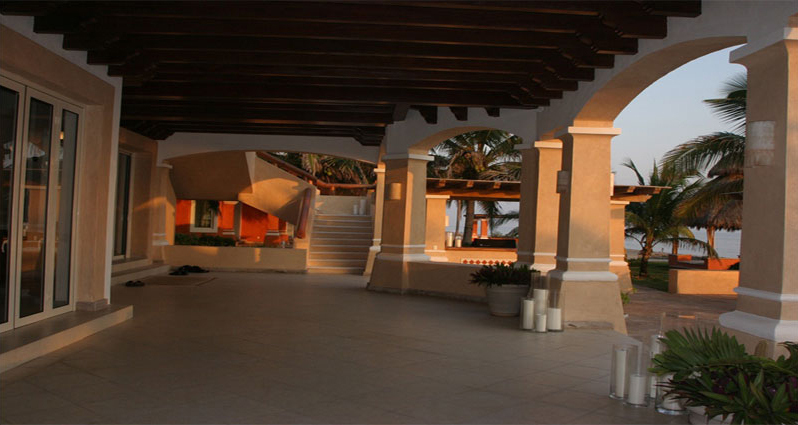 You will also find a barbecue area and bar near the pool. At certain times of year, the beach is fortunate to be visited by giant turtles that come ashore to lay their eggs. Partial view of the sea.